I enjoy checking out Hellofood.com.ng to see new eateries around my area which is Yaba. 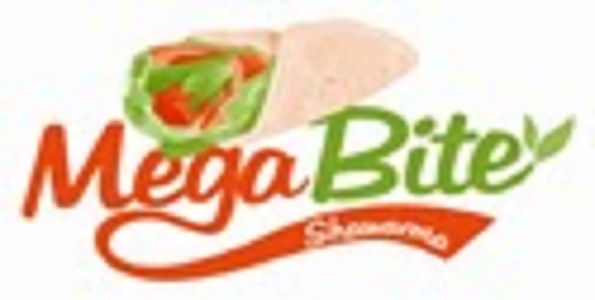 My latest discovery on there is Mega Bite Sharwarma. I checked out their menu on Hellofood and decided to go for the chicken sharwarma with two large sausages which cost 1000 naira and I must say, that is a good deal. I also got the small fries for 300 naira. Total, 1,575 naira (including 75 naira VAT and Delivery fee of 200 naira). Minimum delivery price of #1,200 applies. I placed my order and got a confirmation message from Hellofood. Now the thing is, all the restaurants I order from usually call me to confirm the order and my address, but Mega Bite didn’t, so I gave them a call to confirm my order. I specifically asked for my order to be delivered by 5pm, and it arrived by 5: 10 pm; not bad at all. I tendered 2005 naira to the delivery guy, expecting 430 naira change but eventually got a 70 naira discount because there was no change. The Food : I totally love the sharwarma. It was perfectly warm and I think it’s worth it. It’s so filling and they actually put 2 large sausages #NoJoke. It’s big and spicy. I really couldn’t make out the chicken, maybe because I was generally enjoying its taste. Now, I was confused about the fries. 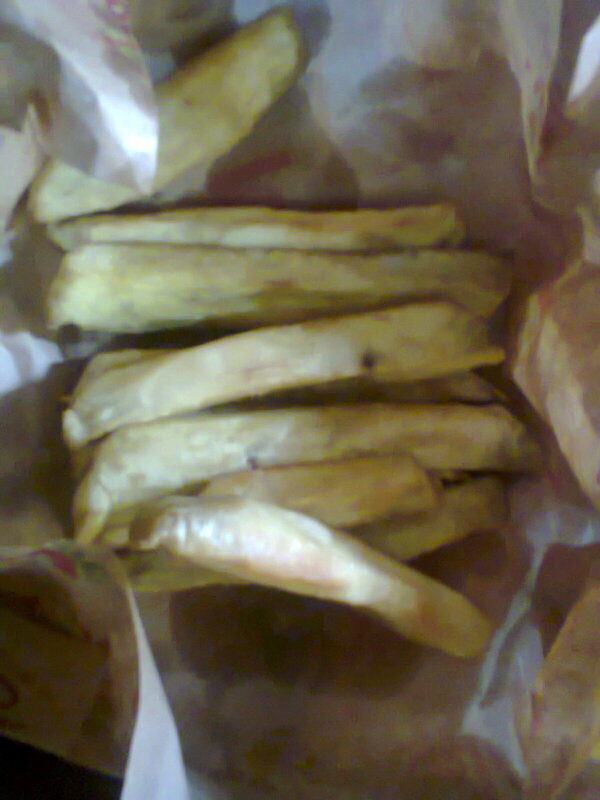 When I asked for fries, I was expecting Irish potatoes, however I was served sweet potatoes, which I don’t fancy much. The annoying thing about this was that I wasn’t informed! They just delivered sweet potatoes, which I think is wrong. Apart from the sweet potato mistake and the lack of confirmation, Mega Bite is alright. Very Tasty sharwarma and Fast Service. I ordered for sharwarma from them, and asked for it to be deliverd in an hour. It took them four hours and it was so cold and miserable. I ended up getting it free cos I was so displeased. 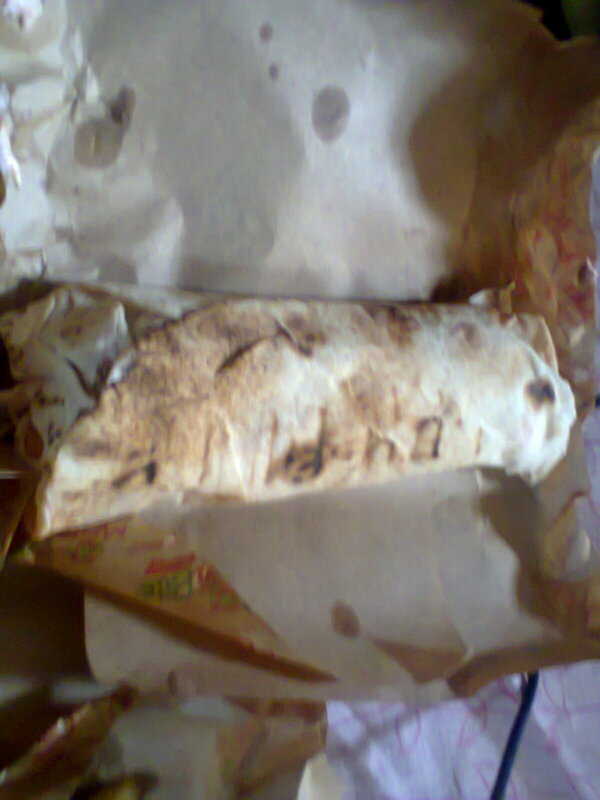 I decided to order for megabite sharwarma only for them to tell me that the bread had finished! and i had to wait for about 3 hours !!!!.. I needed it in 30 minutes time. They should do something about it seriously !!! I dont think i would even consider ordering from them next time.